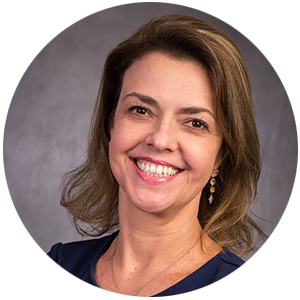 Gabriela Burian is the Global Director for Sustainable Agriculture at Bayer US – Crop Science. She represents Bayer as the Liaison Delegate with the World Business Council for Sustainable Development (WBCSD). She serves as strategic advisor for the WBCSD food and agriculture initiative in the Americas and is co-founder and co-chair of Climate Smart Agriculture program. Gabriela is also responsible for overseeing Bayer’s global sustainable agriculture strategies with key environmental non-profit organizations such as The Nature Conservancy (TNC) and Conservation International (CI). Gabriela is a member of the United Nations CEO Water mandate and responsible for coordinating Bayer’s World Economic Forum strategy and developing the Bio-innovation paper. Gabriela is an Agricultural Engineer (Unicamp, Brazil) with a Master Degree from University of Science and Technology Languedoc (USTL, France). She has also received advanced training in the field of sustainability: Sustainability specialization (Unicamp, Brazil), Executive Course on Sustainable Development Diplomacy and International Program on the Management of Sustainability (Wageningen) – Sustainability Challenge Foundation (Netherlands) and Forestry Post-Master-course (Universite Laval, Canada). Gabriela lives in St Louis, MO since 2012 where she chairs the St Louis Business Community Partnerships, serves as an executive board member with the Ladue Education Foundation and is member of the Core Group for community coordination of the Food Secure Initiative with Singularity University.